The Devon Faith and Belief Forum has been in existence for several years with the object of bringing believers and adherents of different faith and belief systems to a greater understanding of each other, to seek what we have in common and to discover increased respect of what others hold dearest in their lives. These are not easy to achieve because what we hold dearest can be the same as what we are most protective about and for many we resist any deep enquiry into our beliefs. Some faith communities see proselytization as a primary task while others see no place for springing others into their own faith or belief system. Some belief systems are designed to be exclusive, others inclusive; some are about world changing, others about excluding the world; some seek simplicity, and others seem to seek a mind-numbing complexity to their theology or system of belief. The range and variety of beliefs within any community are both complex and fascinating. DFBF seeks to bring them into dialogue and trust through working together for the common good, through education and discussion and through sharing food and social occasions. 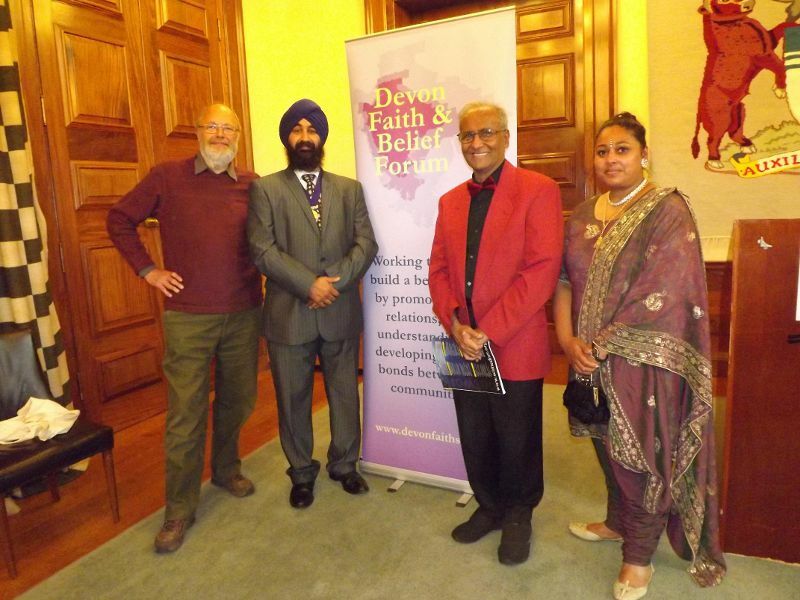 We work through an executive committee of representatives from the different faith and belief groups, a youth group in the Torbay area and supporting local interfaith groups around the county. The details of these groups are available on the site. DFBF is an entirely voluntary organisation with no statutory funding. It relies on volunteers offering their time, their skills and their resources to further the work of bringing believers into an understanding of each other. We are Registered Charity Number 1148839.